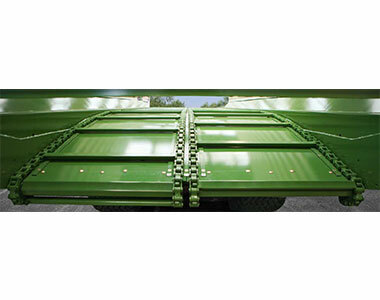 Krone’s all new generation of ZX silage wagons are sure to hit the ground running. 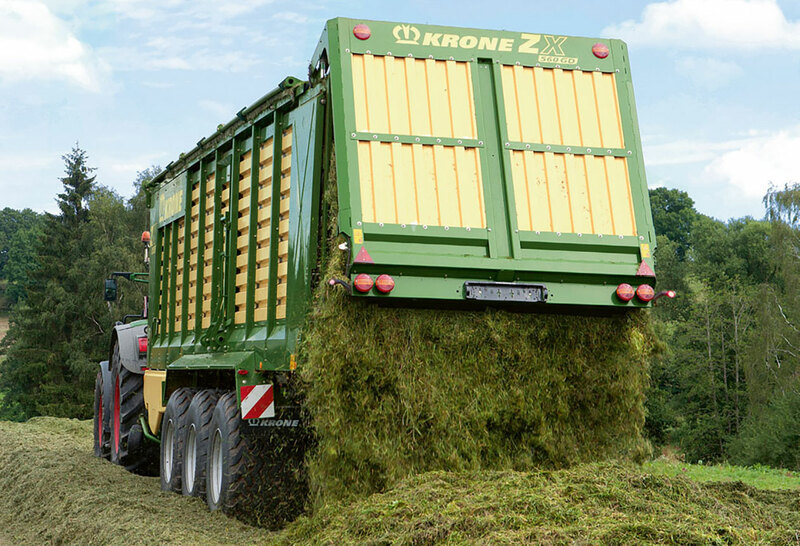 With the reputation of fastest silage wagon in the world Krone have engineered this series with state of the art technology for maximum performance and productivity. The ZX series comes in 3 sizes 43m³, 47m³, and 56m³ and an extra wide pickup of 2125mm. Easy flow pick-up has been increased by 100mm to a total working width of 2125mm wide. 48 knives provid a nominal cut length of 37mm. 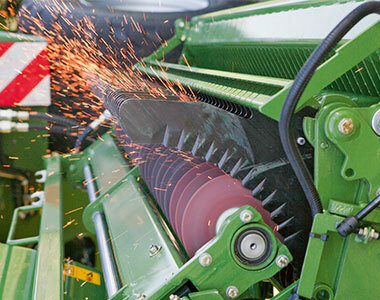 The knife draw swings out hydraulicly for convenient knife change and to remove andy potential blockages.